Combine exciting Korean destinations into a one-week itinerary – from cities like Seoul and Busan to island destinations like Jeju and Ulleungdo island. Korea is a country you can explore every day of your life without fully experiencing the depth of its history, diversity, and complexity. As a traveller who has had the privilege of living in South Korea for a year, I still wish I could have seen and learned more! For those of you who only have a week to visit the “Land of the Morning Calm,” consider one of the following itineraries—all carefully curated for different travelling interests. As the capital city of Korea, Seoul is home to nearly one-fifth of the country’s population and dozens of tourist destinations. Arrive at Incheon International Airport or Seoul Gimpo Airport on your first day, and spend the next two days exploring what the city has to offer. A shopper’s paradise, Seoul has markets for every budget; those looking for traditional souvenirs should visit Insadong, bargain hunters can stop by Dongdaemun Market, and brand-conscious shoppers will fall in love with Myeongdong. 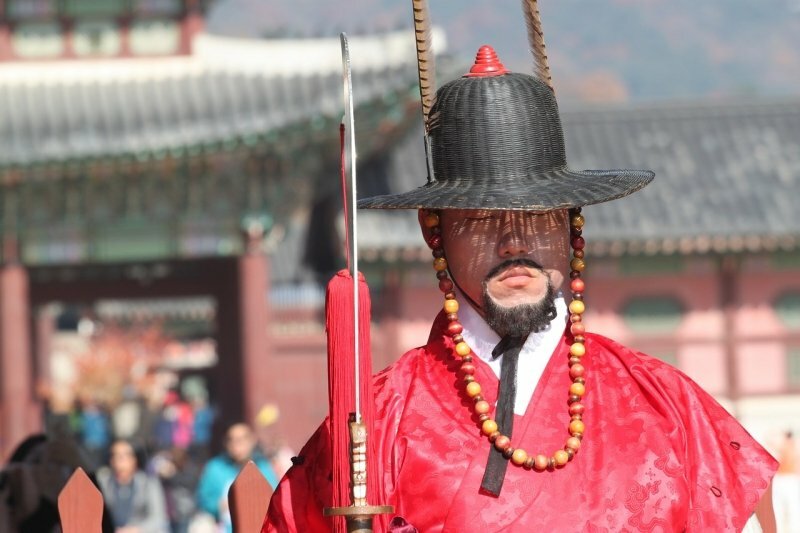 For history lovers, Gyeongbukgang Palace is not to be missed. For travellers who want to “take it all in,” North Seoul Tower offers a view of the entire city. After some long days of sightseeing and shopping, spend your evenings in Hongdae or Itaewon, two multicultural hubs known for their variety of restaurants and nightclubs. The De-Militarized Zone (DMZ) and Joint Security Area (JSA), which separate North and South Korea, are a sombre reminder of the division of the peninsula. Spend Day 3 visiting these areas, which are accessible to travellers who sign up in advance with a tour group. Most DMZ and JSA tours also include stops by Imjingak Park, the Unification Bridge, the 3rd Infiltration Tunnel, and Dorasan Station, which is a railway connecting South Korea and North Korea. At the end of the tour, head back to Seoul and prepare for an evening flight to Jeju Island, the next stop on your itinerary. The largest island in Korea, Jeju is an hour-long flight from Seoul. Spend your first full day exploring the island’s west coast, including the bonsai trees at Hallim Park, the nature trails of Seolbong Park, and the beautiful Cheonjiyeon Falls. On the second day, learn about Jeju’s famous female pearl divers at Seongeup Folk Village, hike the crater at Seongsan Sunrise Peak, and explore the Manjanggul Lava Tube. If you prefer a more laid-back itinerary, you can stay in Jeju City and enjoy the beaches and fresh seafood. Jeju is also famous for its hallabong oranges and chocolates, so pick up some sweet treats to bring back home! For a coastal city vibe, end your Korean vacation in Busan. Fly from Jeju Airport to Gimhae International Airport, which has subway connections to all districts in Busan. Like Jeju, Busan is famous for its beaches, seafood, and fun atmosphere. Relax on Haeundae Beach, hike through Dongbaekseom Island, go shopping in Nampodong or Seomyeon, and stop by Gamcheon Cultural Village over the course of your stay. On the last day, take the subway back to Gimhae International Airport for your flight home. On your first day, arrive at Incheon International Airport or Seoul Gimpo Airport and take a leisurely two days exploring the city. Shop in one of the markets, tour Gyeongbukgang and North Seoul Tower, and check out the nightlife in Hongdae or Itaewon. Sign up for a tour of the De-Militarized Zone (DMZ) and Joint Security Area (JSA), learning more about the history of the two Koreas and the delicate political situation on the most heavily fortified border on Earth. At the end of the tour, return to Seoul. The site of K-dramas such as Winter Sonata, Nami Island is a crescent-shaped island home to lush forests, art galleries, and history museums. Located in one of Seoul’s neighbouring provinces, Nami Island can be reached by ferry or an exhilarating ride on a zipline. If you have the time, you can also do a half-day tour of the nearby Petite France, a taste of Europe in the heart of Asia. Return to Seoul in the late afternoon and catch an evening bus to the seaside town of Sokcho. Ready for some fresh sea air? Sokcho is a small town on the northeast coast of Korea, known for its fishing, beaches, and proximity to one of the country’s most famous mountains, Seoraksan. Wake up early on Day 5 to hike Seoraksan, enjoying the scenic views and the wildlife you see along the way. On Day 6, relax on the beach, stroll through the town, and enjoy the street food and fresh fish on every corner. You can also take a quick detour to nearby Gangneung to visit Ojukheon, a traditional Korean home from the Joseon era. Return to Seoul on the morning of your last day. Pick up any final souvenirs from Insadong or Dongdaemun, and prepare to board your flight home. Arrive at Gimhae International Airport and spend the first two days of your trip discovering Busan. Swimmers and seafarers will love the city’s numerous beaches, such as Haeundae, Dadaepo, and Gwangali, while shoppers will want to explore Nampodong and Seomyeon. Social media-savvy travellers won’t be able to resist posting pictures of the art and architecture of Gamcheon Cultural Village. One of the most picturesque cities in South Korea, Gyeongju is famous for its historical landmarks, temples, and landscapes. Donggung Palace and Anapji Pond are the must-see destinations in this city, through Seokguram Grotto and Bulguksa Temple, home to a Japanese-style pagoda called Dabotap, are also worth a visit. If the weather is rainy or you would prefer a day inside, the Gyeongju National Museum has various exhibits related to the history of Korea and other Asian countries. Spend the night in Gyeongju. In the morning, take a bus or a train to Gwangju, the largest city in the Jeollanamdo province and the site of infamous political demonstrations during the 1980s. Today, Gwangju is known for its art scene, numerous museums, and memorials dedicated to the political uprisings of the past. Spend a leisurely two days in Gwangju—or take a brief detour to a nearby city like Jeonju, Suncheon, or Mokpo. In the morning, take a bus from Gwangju to the rural town of Boseong. Boseong is famous for its green tea plantations, and every year the town hosts a festival celebrating their main crop. Enjoy different types of green tea and snacks such as ice cream or cookies, while learning about how the tea is grown and harvested. Take a bus back to Busan for your final day in Korea. Spend a final day on the beach or buying souvenirs. Take the subway to Gimhae International Airport for your flight home. With three days to spend on Jeju, see as much as you can of this pearl in the Korea Strait. Fly into Jeju International Airport, and explore the various parks, beaches, and mountains around the island. Hikers can spend their whole trip summitting Hallasan, the tallest mountain in Korea, while less ambitious travellers can visit Hallim Park, Seolbong Park, Cheonjiyeon Falls, the Seongeup Folk Village, Seongsan Sunrise Peak, and the Manjanggul Lava Tube. Arrive at Gimhae International Airport at the end of the third day and spend the night in Busan. With only one day in Korea’s second-largest city, choose a district or two to explore. To keep with the island theme, I recommend checking out Haeundae, which has a large beach, an aquarium, and close proximity to Dongbaekseom Island. In the evening, take a bus to Pohang, where you will leave the next morning for the second part of your island adventure. In the morning, take the ferry from Pohang to Ulleungdo Island. Over the next few days, swim, snorkel, or dive in the crystal waters, or explore landmarks such as Dodong Lighthouse, Bongnae Falls, Haengnam Seaside Walkway, and Yaksu Park. Weather-permitting, you can book an additional boat trip around Dokdo, a controversial territory claimed by both Korea and Japan. On Day 7, take the ferry back to the mainland, and then a bus ride to Gimhae International Airport for your evening flight home. For an urban Korean vacation, begin by arriving at Incheon International Airport or Seoul Gimpo Airport. See as much of Seoul as you can in the next two days, visiting historic sites like Gyeongbukgang Palace, shopping in Myeongdong, drinking coffee in a cat café in Hongdae, or checking out the clubs in Itaewon. 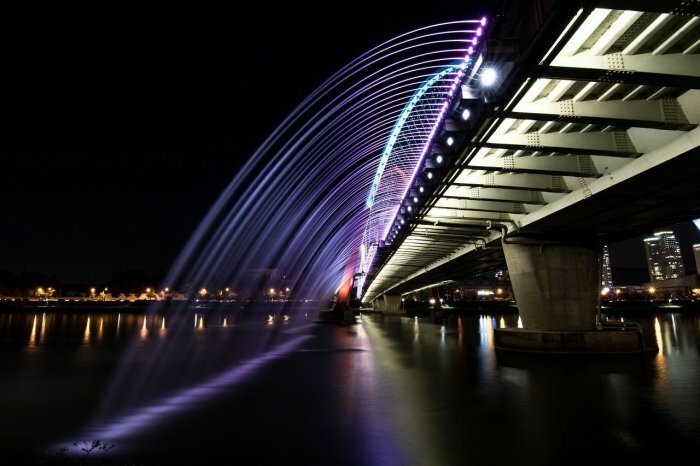 Located in the centre of Korea, Daejeon is a major hub of technology and innovation for east Asia. Take a bus or train to Daejeon in the morning on Day 3 and visit Expo Park, a science and technology campus that provides a glimpse into the future. Various art museums and parks are also open for viewing year-round. At the end of the day, take a bus or train to the southern city of Gwangju. The sixth largest city in Korea, Gwangju is famous for its vibrant art scene and political activism. Marvel at the murals on Art Street, read about the city’s turbulent history in one of the many museums, and indulge in all the sweet treats and delicious foods your stomach can handle. After your tour, take a bus or train to the east coast of Korea for your last few days. Popular with young travellers, Daegu offers an energetic downtown vibe and a variety of fun activities. Gyeongsang-gamyeong Park showcases traditional Korean architecture and horticulture, while the Daegu National Museum and Modern History Museum offer an alternative in case of inclement weather. Travellers may also choose to spend the day at Hillcrest, an eco-park with ziplines, art projects, and other outdoor activities that are great for friends and families. Spend the night in Daegu to experience the nightlife of this southern city. 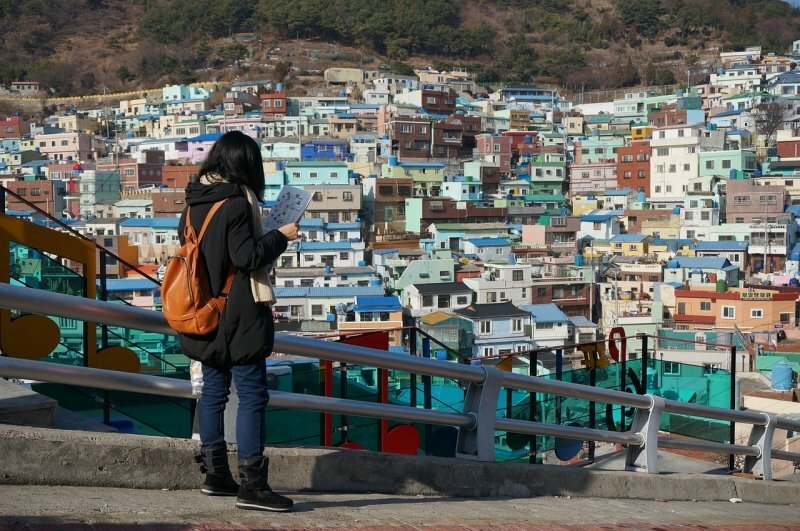 End your trip in Busan, where urban life and beach life collide. Take a bus or train from Daegu to Busan for your final few days. Soak up the sun on Haeundae Beach, stock up on souvenirs from Nampodong for friends and family, and take pictures with the mermaid statue on Dongbaekseom Island, the murals at Gamcheon Cultural Village, and Haedong Yonggungsa Temple. On the last day, take the subway to Gimhae International Airport for your flight home. Nearly 70% of Korea’s terrain is mountainous, offering ample opportunities for hikers to see the country from new heights. Arrive at Gimhae International Airport on the first day and immediately take a bus from Busan to Jungsan. Relax in this small tourist town and stock up on supplies for your big hike. 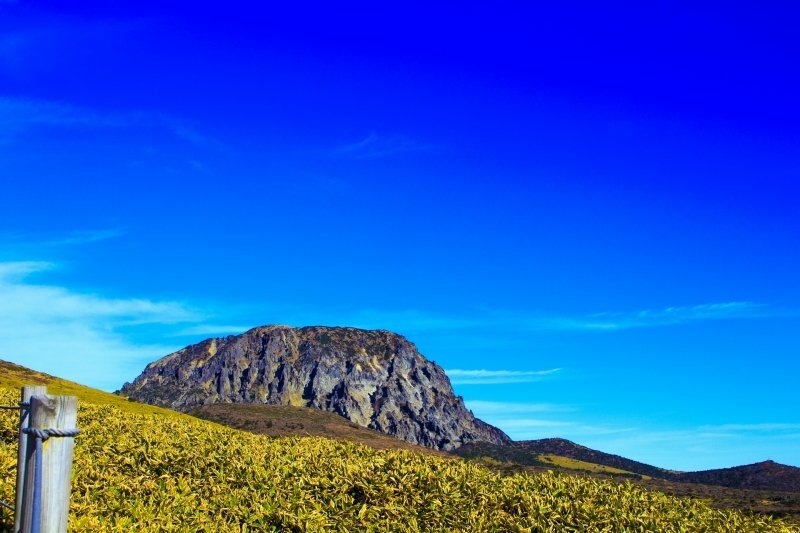 Jirisan National Park boasts the second-tallest mountain in Korea (the tallest is Hallasan on Jeju Island), and reaching the top is one of the greatest ambitions of travellers to Korea. Spend the next two and a half days hiking, staying at the shelters provided along the route (book in advance! ), and preparing to watch the sunrise as you reach the highest peak of Cheonwang-bong. When you return to Earth after your view of the heavens, take the bus back from Jungsan to Busan. Take an early morning flight from Busan to Seoul for the next part of the journey. You can either spend a less strenuous day exploring the city, or continue your hiking adventure. In addition to its skyscrapers and palaces, Seoul is home to seven mountains, the most popular of which is Bukhansan. Pick your favourite and take a more leisurely day hike—after Jirisan, it will be a breeze! Take an evening bus to Sokcho for the last hike of the journey. 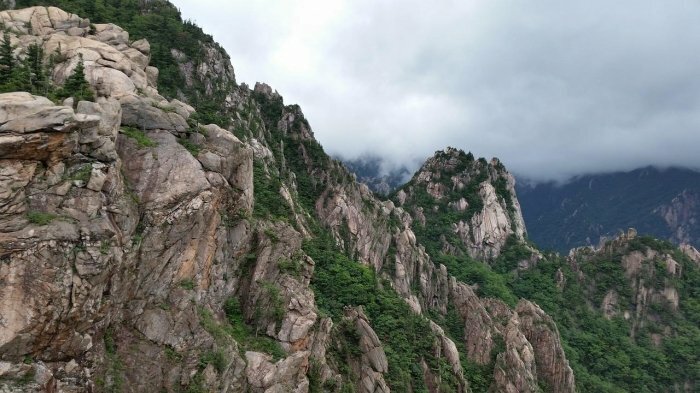 Korea’s third-largest mountain is Seoraksan, a short bus ride away from the sea town of Sokcho. You can spend a full day hiking to the top of Seoraksan, choose an easier trail, or take a cable car to one of the peaks. On the last day, relax on the beach in the morning, take a bus to Seoul in the afternoon, and prepare for your flight home in the evening. For a change of pace from the hustle and bustle of the shopping districts and nightlife, plan your trip to Seoul around learning about the country’s ancient culture. Visit Gyeongbokgung Palace and the nearby National Folk Museum. See a traditional music concert or dance at one of the many performance venues. And of course—eat as much Korean food as possible! 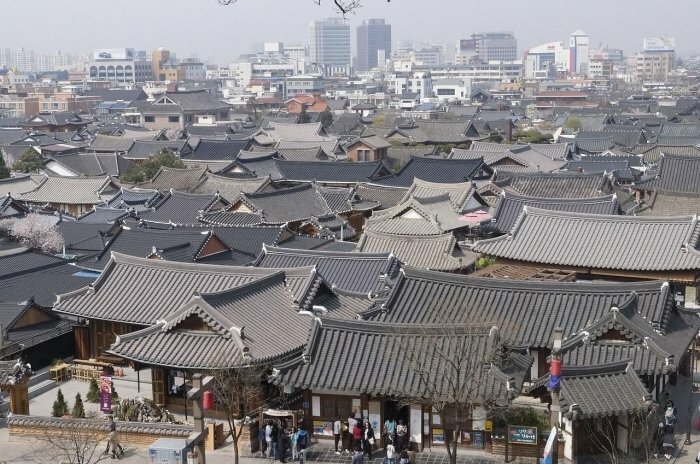 The largest city in Gyeonggi-do province, Suwon almost became the capital of Korea during the reign of King Jeongjo in 1794. Take a trip to this historic city and spend the day walking through Hwaseong Fortress, a remainder from the Joseon era. Return to Seoul for the night. Propel yourself into modern history by signing up for a tour of the De-Militarized Zone (DMZ) and Joint Security Area (JSA), which have separated North and South Korea since the 1960s. Visit Imjingak Park, the Unification Bridge, the 3rd Infiltration Tunnel, and Dorasan Station, while reflecting on how the division affects Korea today. At the end of the tour, head back to Seoul for the night. On Day 5, take a morning bus to the historic city of Jeonju. Visit Jeonju’s traditional Hanok Village, try on a hanbok (Korean dress), watch how hanji (traditional Korean paper) is made. You can also visit DeokJin Park or one of the many museums in the city to learn more about traditional Korean culture. At the end of the day, take a bus east to Gyeongju. Gyeongju is another historical city like Jeonju and Suwon. Once here, hike Tomhansan Mountain to reach Seokguram Grotto and its famous Buddha statue, then visit Bulguksa Temple, Gyeongju National Museum, and Donggung Palace and Anapji Pond. 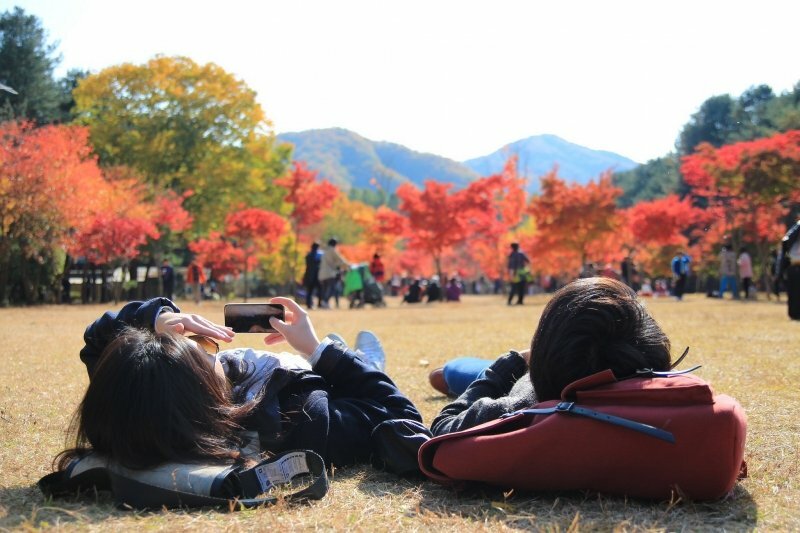 Spring and fall are the best times to visit so you can appreciate the flowers or changing leaves, but Gyeongju is a pleasant place year-round. Briefly the capital city of Korea, Busan is steeped in history new and ancient. Haedong Yonggungsa Temple was constructed in the fourteenth century and is one of the most photographed Buddhist temples in the country. The even older Beomeosa Temple offers temple stay programs for travellers interested in Buddhism and monastic culture. Fast forward several hundred years and visit Gamcheon Cultural Village, originally a shanty town after the Korean War that has since blossomed into a mecca for the arts. At the end of the day, depart from Gimhae International Airport. Janine Perri is a history enthusiast, Fulbright Scholar, and world traveller who loves exploring new places. Her travels have taken her to different countries in Europe, Asia, Latin America, and the Caribbean. Some of Janine’s favourite travel experiences include swimming with sharks, dancing to Gangnam Style at a PSY concert, and seeing the Queen of England during a castle tour. 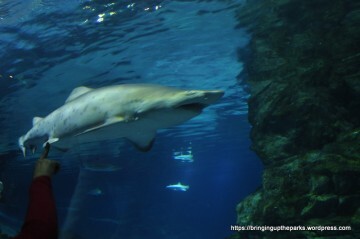 The COEX Aquarium is a good place to go to if you’re traveling with kids and looking for a fun and educational place indoors. The Tweedlets ventured off to Seoul for a 4D3N holiday to do some serious shopping and eating. 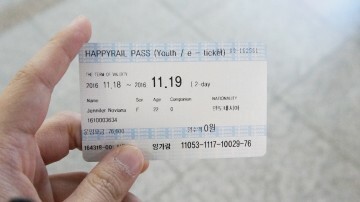 Save money when taking the KTX trains in Korea by using the Happy Rail Pass! Here's a short guide for you! Different expat opinions on why they love living in South Korea.